We’re passionate about our kiteboarding, and have tested them ourselves for over 10 years.We only sell the top gear, no cheap stuff here. We don’t just sell kites. We also provide hundreds of how-to’s and videos to help! Kitesurfing or kiteboarding is a combination of the best elements of surfing, windsurfing, wakeboarding, and snowboarding. There is crossover from those sports so anyone good at those sports can pick up power kite sports fairly quick. But kite surfing is a bit different as you don’t need waves, a boat or an expensive lift ticket- only a few knots of wind. It is the perfect sport for those who enjoy the freedom of sailing and jumping without the huge cost. 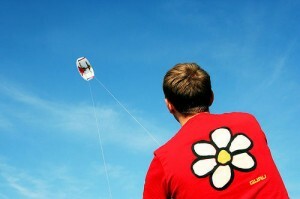 Is a Power Kite the Same as a Kite Surfing, Snowkiting or Traction Kite? Some people get a bit confused at first on the terminology. A power kite is is any large controllable kite designed to provide significant pull to the user. So all kitesurfing, landboarding, snowkiting, kite buggying kites are in the category of power kites. Kites that are not considered power kites would be stunt kites or those little one line kites you see on the beach. Power kites can be flown anywhere, can fit your own specific personality and can be done by anyone from ages 7 to 70). So it’s easy to understand why kiteboarding is one of the fastest growing sports. Where Can You Go Kiteboarding? Maybe you live near the beach and have been seeing some of those crazy guys kitesurfing or landboarding. Or maybe you’ve been hitting the ski slopes and seeing crazy stunts folks are pulling while snowkiting. If you’re wanting to get in on the action of kite-based sports like kiteboarding, landboarding, kitesurfing, or snowkiting, there’s nothing holding you back. But, there are smart ways and dangerous (aka – less than smart ways) to go about it. Getting good at kitesurfing or snowkiting, and learning how to do it safely, doesn’t happen by jumping on a board connected to a full-sized power kite and trying it out. It happens through practice with a trainer kite. Trainer kites are pretty much what the name implies – kites for beginner kiteboarders, whether their goal be kitesurfing, snowkiting, landboarding or otherwise. They are much smaller, simpler and safer than power kites, and allow newbies to get a feel for the power of the wind and the basics of controlling the kite with its lines and control bar, while not having to worry about the dangers of power kiting. Why Start with a Trainer Kite? Your first time driving a car was probably not on a four-lane highway in the middle of rush-hour traffic. Because it would have been extremely dangerous. So why would you learn how to kitesurf or snowkite with a full sized, power kite that you are unforgivingly attached to via a board and harness? That is a recipe for disaster. It only makes sense for anyone wanting to learn a kite-sport to start with a trainer kite. During your time with the trainer, you will learn how to launch, pilot, and land your kite. You will learn how the kite respond to your controls. You will learn how to find and use a variety of positions inside the wind window. You will learn how to increase your speed and how to reduce its power and slow down. You will learn how to “park” the kite on the edge of the wind window in the neutral zones. In other words, using a trainer kite is all about learning how to properly handle the kite from start to finish without the risk of being attached to it. There are a wide variety of trainer kites for sale, so there is no one size fits all. It depends on the type of power kite sport you want to get into, as well as the type of power and air you want to learn how to control, not to mention your own personal size, weight, and of course budget. 2-line: the simplest, cheapest, and safest of the trainer kites, it provides easy set up and allows you to learn the basics, but you won’t be able to learn how to reverse launch or stall the kite. 3-line: still relatively simple and easy to set up but with the added ability to do reverse re-launches and an ability to kill the power. Naturally, they are a bit more expensive. 4-line: these provide the closest experience to a full power kite and are the most complex and consequently most dangerous. It flies very similarly to a full power kite and will require being hooked up to a harness, which adds to both cost and risk. There are of course other details that add further variety, so be sure to do your homework to find one ideal for your long-term power kite goals. Alright, so now you know what a trainer kite is, why you need one, and a bit about types to choose from. Find a large, open area to fly. The more open and bigger, the better. The wind needs plenty of room to flow without being interrupted by trees or structures. Remove your trainer kite from its bag and lay it out on the ground. Make sure its bridle lines are facing upwards and that the trailing edge is facing the wind. You will need to temporarily weigh the kite down or have a friend hold it down so it doesn’t blow away. Unwind the kite lines from the bar as you walk into the wind. Walk between the lines from the bar back to the kite, inspecting for any potential twists or knots in the lines. Untangle and untwist the lines as needed. If there is a safety leash, attach it to the bar. Now, pull firmly on your bar. If wind is sufficient, your kite should launch. Crashes will happen (another reason to start with a cheaper trainer a full-sized power kite). Try to avoid crashing fully down wind, as the speed of the impact could blow seams. Even with a trainer kite, 15-20 mph winds can create a lot of power. Small 3.5-meter kites still can pick up a 200-pound person and move them as far as 10 feet. Make sure you have plenty of space, stay alert, and remain in control. Just like learning to drive, you need to put in some hours of practice before you will fly your kite well. Plan to log at least 5 or so hours before getting proficient and remember that the upgrade to a full-size power kite and board will still give you plenty more to learn. So now that you know what it’s all about and that there are affordable trainer kites to get you started, don’t wait. There are dozens of excellent trainer kites for sale, so be sure to review the best ones and purchase the ideal one for you! A trainer kite is the fastest and most cost effective way of getting into kite surfing. There were two main reasons for this. Kiteboarding offers thrilling ways to play, work out, and enjoy the outdoors, and the combination of kite flying and surfing adds a new outlet for outdoor sports enthusiasts to master. Even if you are not new to water sports, thorough training and preparation should be your first step towards getting started. Once you know how to handle the equipment and understand the necessary safety precautions, this new aquatic activity promises numerous opportunities for fun and excitement. Professional instruction will give you the training and understanding you need to safely enjoy this sport. As the requisite power kites are not for children or the uninitiated, any associated equipment needs to be kept under control at all times. Learning proper handling techniques, by way of a qualified instructor, will reduce your chances of experiencing problem situations. A good instructional video can enhance your knowledge and get you ready for this sport as well. Even if you are an avid windsurfer, snowboarder or swimmer, you should first master your flying skills on land. Even when you have progressed beyond needing an instructor, you should not attempt kiteboarding without someone else present to assist you if necessary. Kitesurfing away from the shoreline only as far as you can confidently swim back should be part of your kitsurfing ritual as well. Your flying path should be clear of objects, and you should make sure weather conditions are ideal for such an activity also. This intense undertaking requires precision, preparedness, and caution, but the ensuing experience may be well worth it. 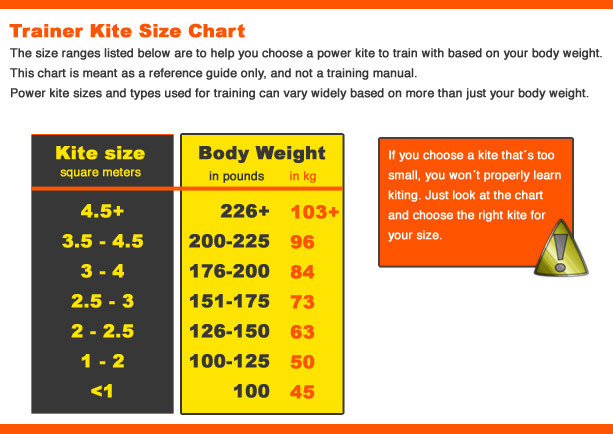 We hope you have enjoyed reading about which trainer kite is best for you and how to fly a power kite. Throughout our articles we have used photos and diagrams to illustrate the best ways to launch a power kite and the kinds of conditions you will want to use for learning how to kite surf, landboard or buggy kite. To review any of those articles, just use the SEARCH field to the right hand side. 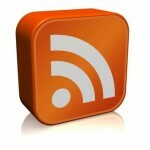 You can also subscribe to our feeds and review articles below. It’s also important that you get your kite surfing equipment from the right shop. 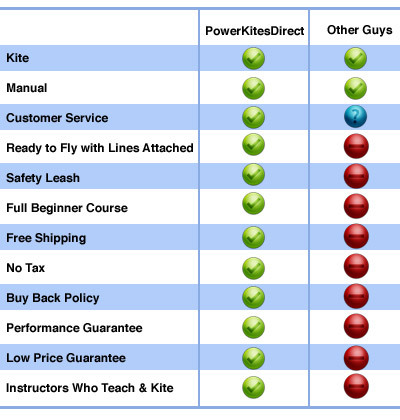 Here is the comparison for Power Kites Direct vs. the competition. In order to become good at kitesurfing, landboarding or snowkiting, you will need solid kite flying skills. The more experience you have with flying a trainer or power kite, the better off you’ll be when have your first lesson. Kiteboarding is 80% kite skills, which is why we always recommend that you get some flying time in BEFORE you take a kiteboarding lesson. There’s a couple of ways you can do this. 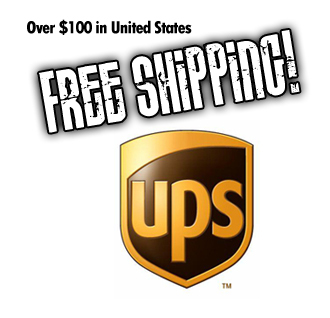 Borrow one from a friend or buy one from our online store. 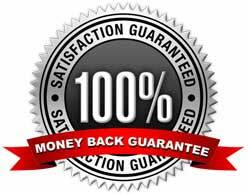 If you buy one, we also offer a Trade-In service (see below), which helps to reduce the overall entry cost into the sport. Which ever kite you choose, it’s best to have 15-20 hours of practice before you take a lesson. Which kind of kite should you buy? That depends on your goal for learning how to kite. 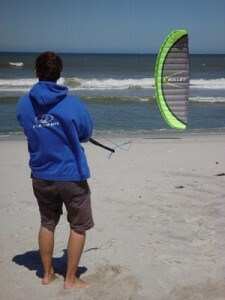 If you want to start kite surfing, then a trainer kite such as the RUSH PRO or HYDRA will work best. If you aim is to get into landboarding, buggy kiting or snowkiting, then check out the Beamer or Scout kites. If you are ready for a full-sized kite surfing kite, then click on the Griffin Kites page. What is your top recommendation for a trainer kite? 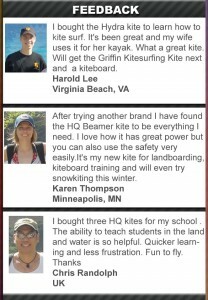 We have seen that the HQ Hydra is the best overall trainer kite for most students who are looking to get into kite surfing. The reason is because a kiter can quickly transition from land to water to learn body dragging without switching kites and putting on a harness. It’s very practical to be able to take a kite you are already familiar with and start learning the water. The Hydra is the first and only water relaunchable trainer kite. It’s also a great kite for kayaks or tubes. What is the regular Rush kite good for? The Rush is a really good kite for small children or a family who wants a very basic kite. We currently have a program where we have donated kites to kids with ADHD. It’s a small kite and doesn’t relaunch as easy as our other kites so it’s a bit less practical for learning than the other kites we offer. What is the best trainer kite size to get? So How Do You Choose the Right Trainer Kite? Many individuals consider the foil kites aren’t good as since the inflatable ones choice since the latter are similar to the kites which are normally applied to water. The main reason behind selecting a foil kite over an one is its price. The foil trainer kites will also be easy to gather and cost way less compared to the ones. The foils can be found in the shape of nylon squares and all these are sewn together to create the kite. This really is much simpler compared to the setup of the air bladder that’s needed to create an inflatable kite. Besides this, the kites are accessible only with four lines. You also need to buy a harness which provides a significant number of the end sum, should you choose in for the inflatable trainer kites. There aren’t any such conditions for the foil types. Whenever you think about each of the differences mentioned previously, you’ll observe the price of the foil trainer kite costs way less-than its inflatable cousin. In Addition, the open-cell models of the kites allows air to escape once the kite crashes, thus avoiding damage to it by pressure surges.